Pekar’s has two state-of-the-art paint booths. These booths employ bake oven technology for a factory, oven-baked finish result. We are constantly researching the best and most modern equipment and techniques to provide exceptional quality in our work. Whether you need body work after a major collision or just a new coat of custom paint, we are ready to exceed your expectations. You can trust Pekar’s Body Shop to handle your next automotive paint job with care and professionalism. Scuffs and scrapes can happen when you’re enjoying your vehicle. Weather like hail, sun, and even wind can change the way your vehicle looks over time. We’ll get your vehicle back to factory standards or looking good with a fresh, custom paint job. 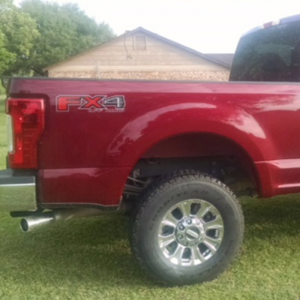 With today’s color matching technology, we don’t always have to repaint your whole vehicle to get it looking just right. Talk to us about what options are available to you. We’re happy to make recommendations based on make, model, and of course – our decades of experience. Vehicle styles and materials evolve over time, and your body technician should too. 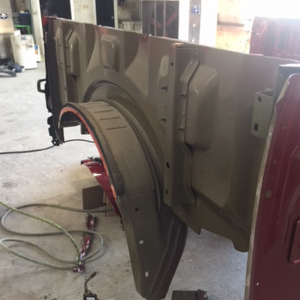 Pekar’s Body Shop has the experience, training, and equipment necessary to repair wear and damage to newer aluminum vehicles. When aluminum is damaged or bent, it requires aluminum-specific tools to extract the dents and fix your vehicle’s exterior. Pekar’s Body Shop understands the nuances to aluminum repair, and no matter your vehicle make, model, or material – we’ll get you back on the road. 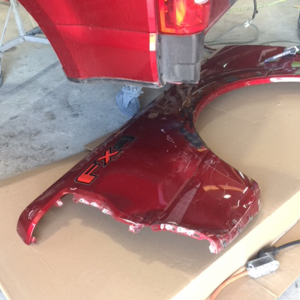 We offer paintless dent repair right here in Wharton, TX. An untrained individual may actually cause more damage to your vehicle while attempting to correct a dent. Our expert technicians remove dents and dings without causing more damage, including cracking your car’s paint. There’s nothing more unpredictable than nature. Even so, you CAN count on Pekar’s Body Shop to repair your hail damaged vehicle when the time comes. Often, we can get the job done with our paintless dent repair service. Depending on the severity of the damage, our technicians will commonly extract indentations from your vehicle’s outer panel(s) and remove surface imperfections. 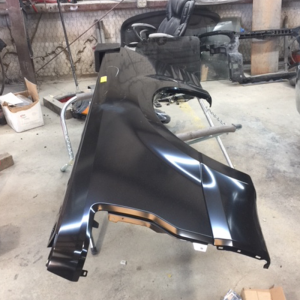 The technician may still remove the dent to eliminate the need for body fillers before your car is refinished if the vehicle’s finish is damaged. Did you know your windshield is actually two sheets of glass held together by another material? The inner layer is polyvinyl butyrate, and it keeps your windshield from shattering like a solid piece of glass would upon impact. That said, a cracked or broken windshield can still be a huge deal. Driving around with a cracked windshield is not only illegal in some stages of disrepair, but it’s a huge safety hazard. Our technicians are trained to professionally measure and install new windshields. We’ve worked with all insurance companies, and we’d be happy to walk you through the process. Getting you back on the road in a safer vehicle is our goal.